What was the one thing that had you entranced for a while? It wasn’t the gameplay was it? It wasn’t the visuals either was it? The music is the best part of this game and it sets itself apart from all other downloadable titles like it. When you play a game like brick breaker you can get bored extremely fast because of the repetitive nature of the game. Shatter keeps you playing because the music puts you into the game on a whole other level. Try watching the video above without the music. I bet it does nothing for you. Some might say this is a downfall on the gameplay of the game but I say that the developers found something interesting. If you think about this idea of music taking over a game what other games come into mind? Guitar Hero, Rock Band, AudioSurf. There are tons of games out there that use music as their lead concept but something is different about Shatter because the music isn’t supposed to be the go-to element. Every developer wants you to experience what they have created through gameplay elements to immerse yourself in their world and the music is supposed to be an added effect. Congratulations Shatter on being that game that truly brings music to other genres and creates a whole new world of gaming. Of course this is all my opinion and I will most definitely hear some backlash on that but everyone is entitled right? Let me talk about the gameplay now. Shatter acts as a brick breaker type game where you are a small object that can ricochet balls in the opposite direction. 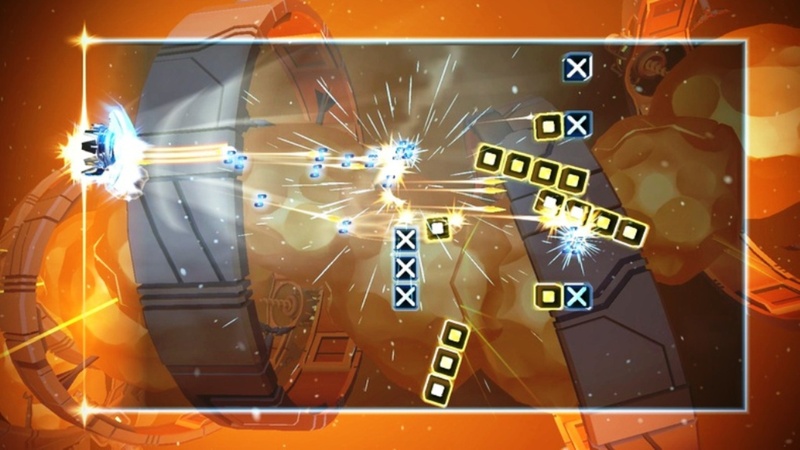 The object of the game is to destroy all of the blocks that are on the screen by making the ball hit them so that they disappear. Sounds simple enough right? This is where it gets interesting. Shatter has a twist on things. The blocks can move on you and have different elements attached to them. Some of them will explode, some will fly directly towards you and if you are hit by a block you are knocked off the screen for a couple of seconds allowing the ball to have a chance to get past you. How can you avoid this? By using a type of force power the game allows you to have. By pushing on a trigger button, you have the ability to cause the balls on the screen to be either pushed away or sucked in to your paddle. This force is also handy for collecting the fragments that appear after each block is hit. 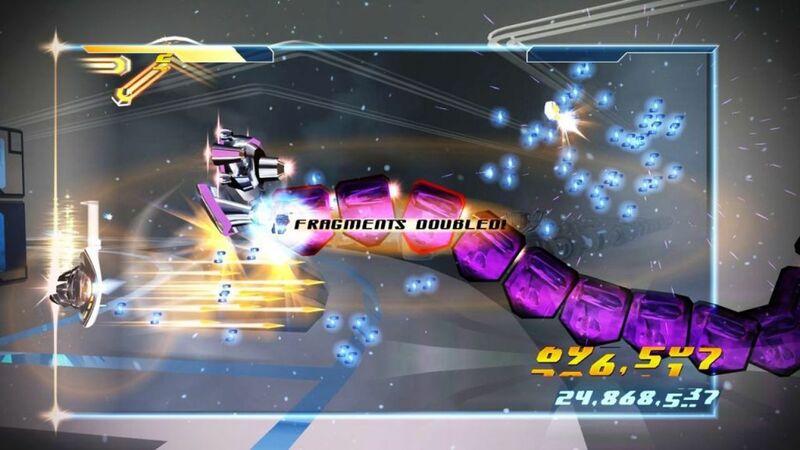 The fragments allow you to get a higher score and they also allow you to gain a very powerful ability that I won’t spoil. 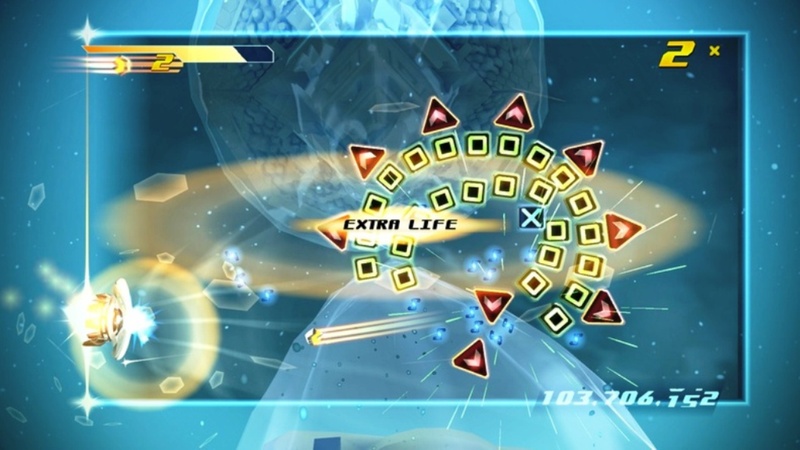 The game also puts a twist on things by having circular environments in some levels and also boss battles at the end of every world. The boss battles are truly amazing and add an element never seen in this type of game before. The object of the boss battles is to hit them with your ball in very particular spots to cause their health bar to be reduced. It is a very unique twist on a brick breaker game. If I could recommend anything it would be to download the soundtrack to this game. Every song on it is wonderful and you will be listening to it everywhere. Shatter is not an expensive download and if you are looking for something to pass the time then this is what you will enjoy.